What’s radder and badder than donating dollars to Public Lands? 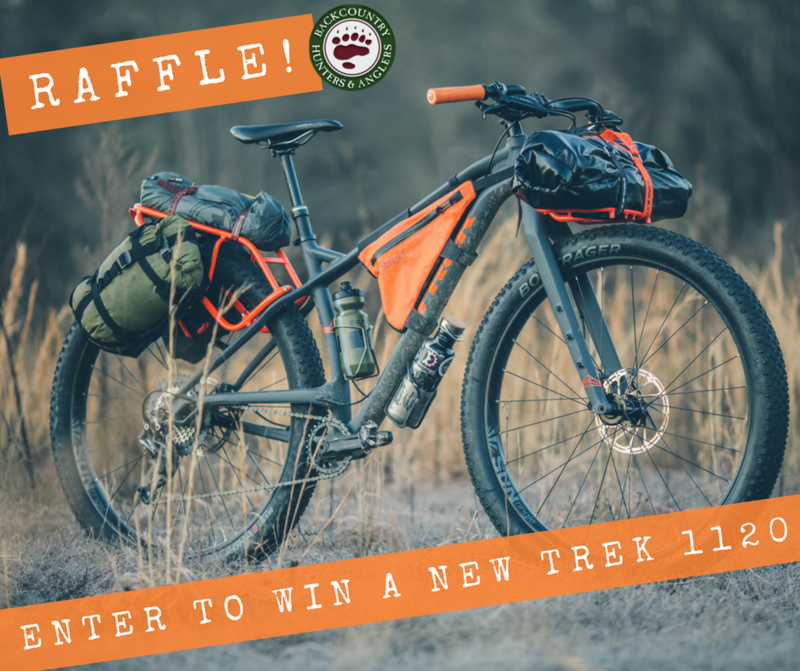 How about donating to Oregon Backcountry Hunters and Anglers' efforts to protect YOUR #PublicLands AND getting rewarded with a raffle ticket chance to win a brand-stinking’ new Trek 1120 with orange dry-bag racks. With huge 29×3.0-inch tires, plenty of mounting points for water and gear, and a 1×11 drivetrain the Trek 1120 is THE bike for backcountry camping, hunting or fishing trips in and around Central Oregon. Raffle tickets are only $10 each, and can be purchased on-line. Tickets may also be purchased from Noon-6:30P during the Beers Bands & Public Lands fundraising event held at Drake Park in Bend, Oregon on Sat June 16, 2018. The winning ticket will be drawn in Drake Park at 6:30P on Sat June 16, 2018. Online ticket purchasing will end at noon on June 15. Oregon DOJ Charitable Gaming Number: R-35152. The Trek 1120 is backcountry traveler's dream. This bike is built to explore the most extreme destinations in the farthest reaches of the world, and carry your ultralight camping gear and fishing or hunting gear out to your favorite #PublicLands spots. The winner will receive a 2018 Trek 1120 mountain bike (pictured below – bags/tent not included) in the size of their choice. Winner need not be present to win, but must take final delivery of their new bike in person at Pine Mountain Sports after June 16, 2018.